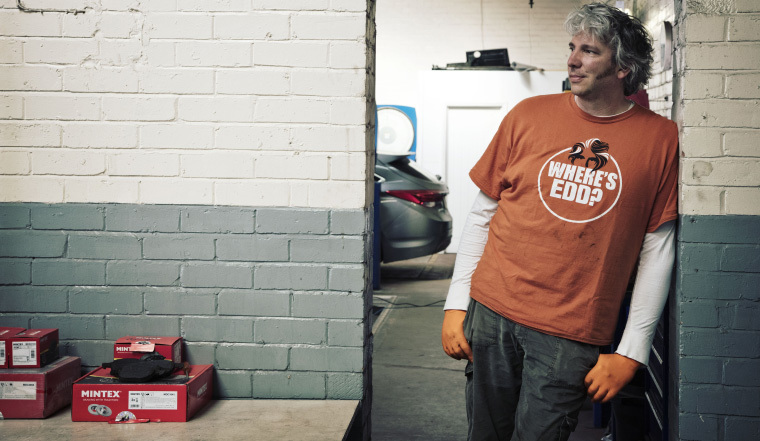 Global OE friction manufacturer, TMD Friction, has joined forces with celebrity mechanic, Edd China, to produce a series of best practice videos for its renowned aftermarket brake brand, Mintex, and premium OE brake brand, Textar. The videos, which will outline a variety of brake-related processes, have been developed as training aids for mechanics to help support the independent garage trade. They will also provide those working on vehicles with immediate access to trouble-shooting content. The guides will focus on FIT Shim technology, how to work on a vehicle with an electronic parking brake, the brake replacement process and the importance of checking brake fluid. One of the videos will also cover Textar’s latest innovation, the Q+ Shim, and how its unique characteristics help to dampen brake noise. Scott Irwin, technical manager at TMD Friction, said: “Working with Edd to produce the training resources was an absolute pleasure. Not only did he bring his natural charm and energy to the set, we have produced a selection of videos that are informative, engaging and easy to follow. We look forward to launching them to the industry this autumn. TMD Friction has built a strong reputation worldwide as a leading manufacturer that doesn’t just follow standards, but in most cases sets them for the industry. For media enquiries please contact Emma Osta at Pure on 0113 239 4541 or emma@pureagency.co.uk.